The toll-free phone number for referring veterinarians is 866-551-2029. Visit our contact information to refer clients. As a referral hospital, our goal is to work with our referring veterinarians as partners in the care of our mutual patients. The key to that relationship is providing direct access to our clinicians and key staff. During business hours your call will be answered by a staff member who will connect you with the clinician or service you request. After hours emergency calls will be handled by our answering service which will immediately connect you with the clinicians on call. 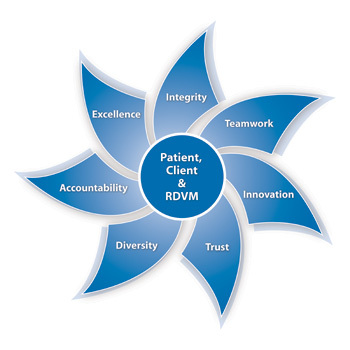 Regular business hours: Monday through Friday, 8 a.m. to 5 p.m.
Access our RDVM rVetLink portal. Download our digital 2019 UF Referral Guide. SAVE THE DATE for our annual RDVM Continuing Education Day, June 15, 2019.